Everyone knows that reindeer pull Santa’s sleigh. But did you ever wonder who pulled it before he had reindeer? You’ll love finding out in this funny Christmas tale. 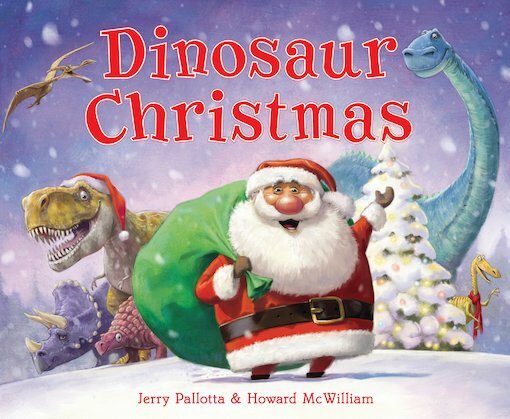 Come and meet Santa’s prehistoric helpers! A Christmassy mission, a jolly Santa and lots of busy dinosaurs: what more could you want in a story? Oh yes – we almost forgot. There’s a big sack of presents too.